Archive by category "3rd Class"
Our school was so lucky to have a Science Presentation by Paddy Madden, a Lecturer on Social Environmental and Science Education at Marino Institute of Education. 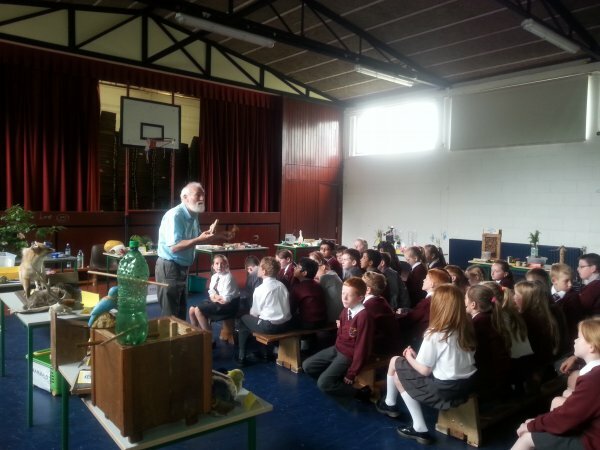 We loved listening to Paddy’s stories about the plants, animals and mini-beasts of Ireland. He showed us lots of interesting plants, bugs, shells, rocks, animals homes, insect hotels – so many many things! We could listen to Paddy forever! Third Classes were so lucky! 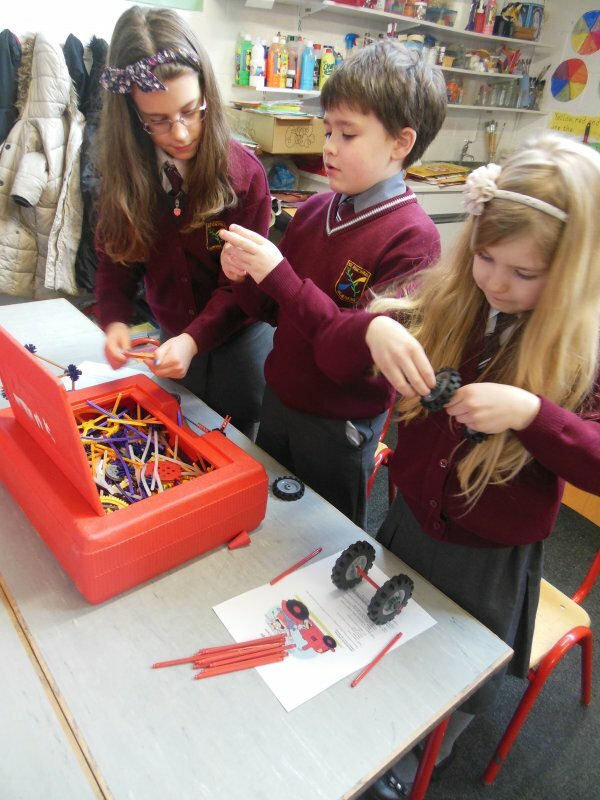 Ciarán Murphy, an engineer with IBM came into the Third Classes to do the K’nex Challenge with the children! 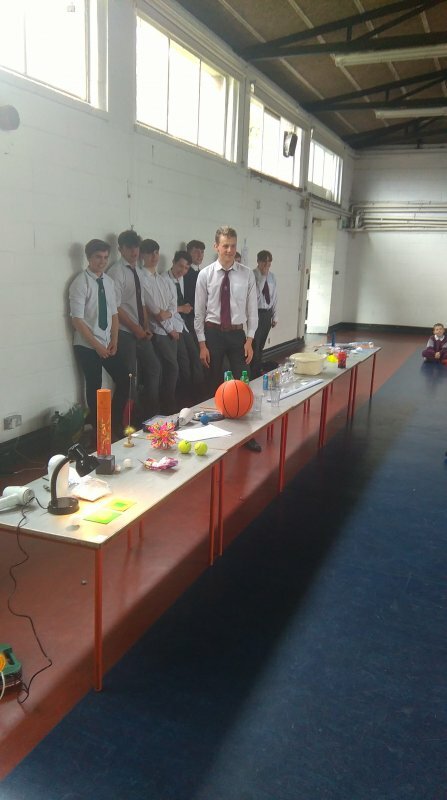 St. Fiachra’s SNS and Belvedere College participate in a joint Science event each year in our school. The secondary school boys present many different Science Experiments to our Third Classes. The Third Classes participate in hands-on activities during these presentations. Science Buzz is an annual event in our school and is a very enjoyable experience for students in both schools. Down below we can see photos of the Rocket Launches! We love revising our Tables in the yard using Hopscotch. Who knew Tables could be such fun? There were wonderful Maths Display noticeboards in many areas of our school during Maths Week. They were bright and colourful with so many interesting mathematical facts on display. We learned so much from these noticeboards. During Maths Week we all enjoyed a Maths Table Quiz in our classrooms. We worked in small groups and had great fun working together on the answers to the questions which were shown on our Interactive White Boards. Do you have Maths’ Eyes? During Maths Week we became very aware of evidence of Maths all around us. We hadn’t really noticed before but when it was brought to our attention, we noticed Maths everywhere! We had lots of posters around the school illustrating Maths in our environment. We discovered Maths everywhere!! 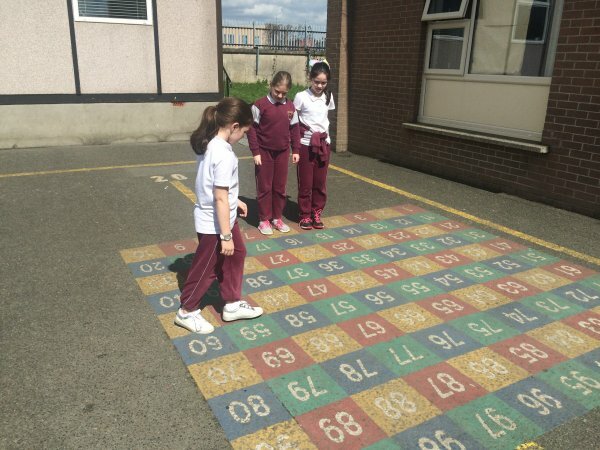 Third and Fourth Classes really enjoyed doing a Maths Trail around the school and the school grounds. 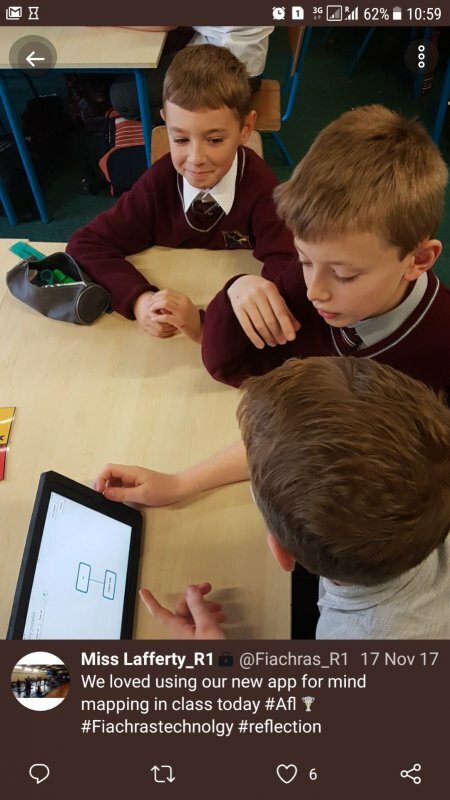 Fifth and Sixth Classes also enjoyed a more challenging School Maths Trail. Who knew Maths could be so much fun? 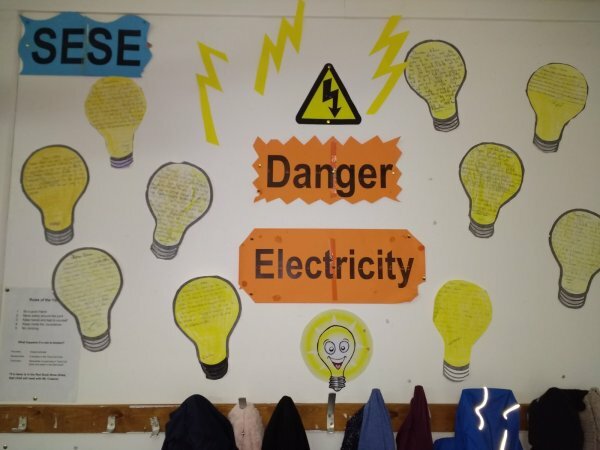 Third Class learned lots about electricity. They learned about the dangers and the benefits of electricity. They had lots of fun and really enjoyed the lessons! What ‘bright sparks’ they are!! Third class children learned about healthy eating and looking after our bodies. They made individual food pyramids and skeletons. They enjoyed learning about bones and making our bodies strong. Third Class learned about Capacity, Weight and 3D Shape in Maths. They then explored the topic of Healthy Eating in Science class. They integrated this knowledge and constructed this fantastic Food Pyramid on their classroom wall! It is so easy to see the foods which we should eat sparingly! And also the foods which we should eat regularly! Well done, Third Class! Third Class learned about keeping our teeth healthy. They explored the different types of adult teeth and made teeth from plasticine. They started by making gums and then added the teeth. They had to be careful to place the teeth in the right place. They learned about the functions of our four different types of teeth: canines, incisors, premolars and molars! Third Classes are very busy planting and maintaining the flower beds in the school courtyards. These flower beds make our school look so pretty and colourful. Lots of watering and weeding to be done on a daily basis to care for the flowers and plants. What great gardeners we have in St. Fiachra’s SNS!! Our brightly coloured flowers attract lots of butterflies, bees and insects.